A summer staple for any little boys play wear. 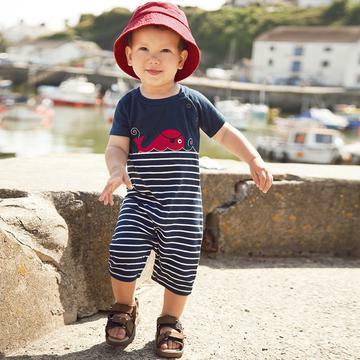 This adorable Navy/White 100% cotton striped romper has a red pirate whale on the front. It has buttons on the side to get on/off easily.